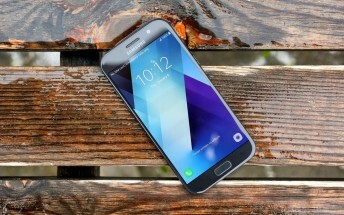 Rumors about Samsung Galaxy are going wild all the time and people tend to be a bit too critical. But there are some devices which deserve some love for their simplicity. We are talking about the new A-series that were silently launched in the beginning of January. Galaxy A3 (2017), Galaxy A5 (2017) and Galaxy A7 (2017) didn’t receive quite the attention they actually deserve but we guess it would take some time until Samsung’s first rate marketing engine kicks into a higher gear. And that won’t happen on all markets as the new A-series is not available everywhere on the same terms i.e. the A7 (2017) will not appear in Europe. We got our hands on Galaxy A5 (2017) and before jumping in our labs to perform our usual tests, we decided to share our first impressions. Unboxing the device, you feel quite starstruck. Our unit is in black and it certainly looks stylish even if you can see the plastic. 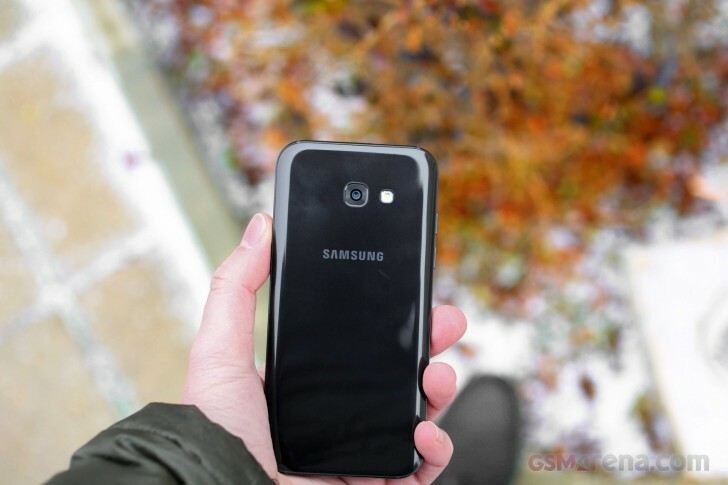 We expected a mid-range device with compromised design but it doesn’t feel that cheap at all. The phone is powered by the 14nm Exynos 7 Octa 7880 chipset with a Mali-T830 GPU. Coupled with the 3000mAh battery, this power efficient processor should provide stellar battery life. The phone comes with a Super AMOLED display with a 5.2” diagonal and Full HD resolution. The Galaxy A5 (2017) has two 16 MP cameras - one on the back and one at the front. Both shoot video in 1080p and on first glance the output from the cameras is equally sharp but we’ll have to test that further. 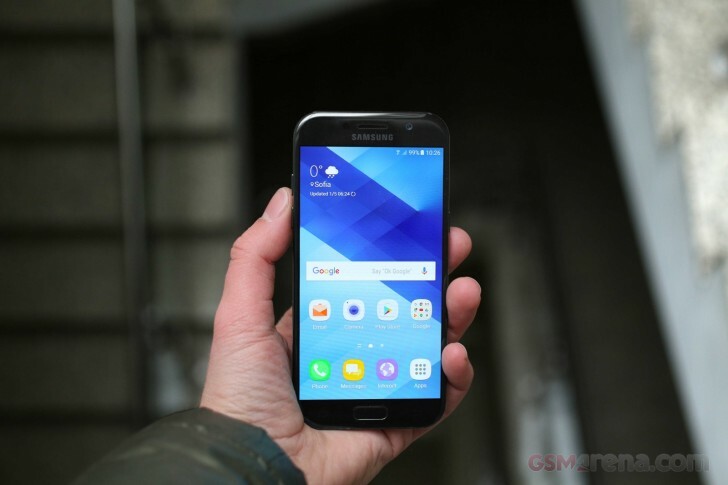 The Galaxy A5 (2017) comes with Android 6.0.1 Marshmallow. A nice surprise is Samsung ditched the TouchWiz user interface for Grace UX, which was introduced by the now obsolete Note7. The new UI has a cleaner style and looks more modern. The device also got the Always-On Display mode from the higher-end Galaxy S7 and Galaxy Note7. The Galaxy A5 (2017) has IP68 certification which makes it water- and dustproof. Spilling water over it shouldn't cause any issues but you can do even better than that as the phone should easily withstand going underwater. An interesting quirk is the positioning of the speaker - it is located on the right side over the power button. We would certainly have to test how that affects the user experience. 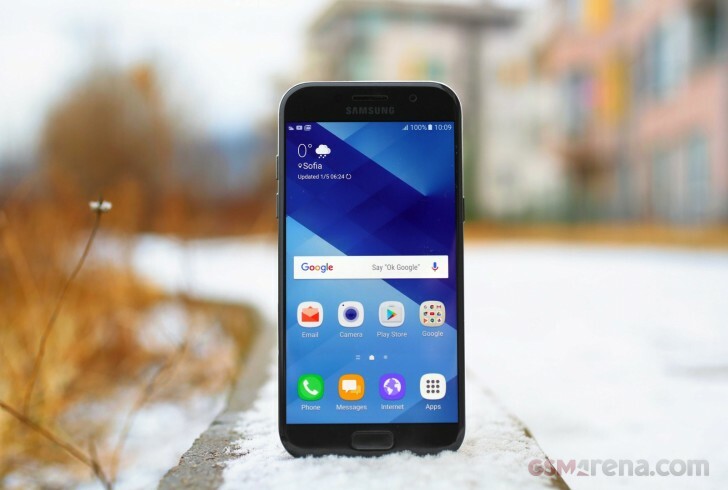 Our full review is already underway so make sure you check back to learn everything about Samsung Galaxy A5 (2017).